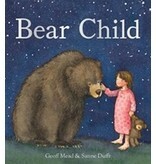 Geoff Mead “Now that people live in towns and bears live in the woods, have you ever wondered what happened to the bear folk?” At bedtime Ursula asks Daddy to tell her the tale of the bear folk—special beings who can choose to be either a bear or a person, depending on whether they want to catch a fish or read a book. 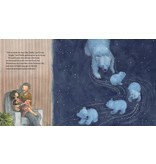 Bear folk live extraordinary lives; they are strong and clever, kind and loving, adventurous and creative. They love to travel far and wide and eat apple pie. They live among us, even if we don't realise it. Perhaps one day we'll meet one. 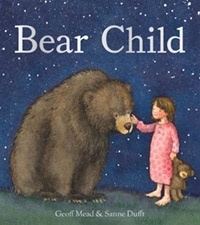 Perhaps we already have... Bear Child is an inspirational story of parental love, belief, and embracing individuality. 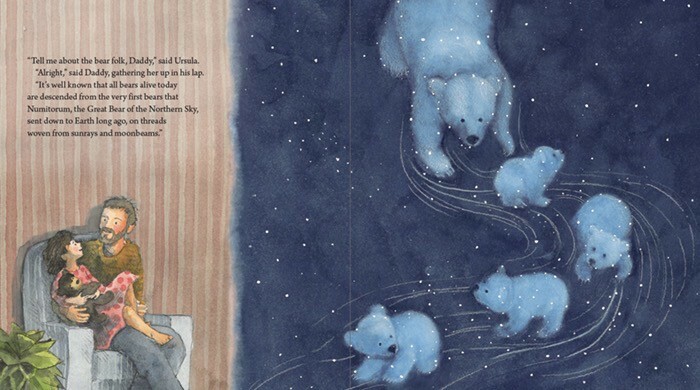 This beautiful picture book weaves Geoff Mead's charming words together with Sanne Dufft’s ethereal illustrations to create a truly timeless folktale.